Digiarty Software today announced the availability of Air Playit for Android. It is a long expected move for the company to make this reputable audio video streaming app compatible with Google Android phones. Powered with advanced video streaming method and CUDA, Air Playit helps users stream and enjoy real-time playback of their music & video library from computer at anywhere, all media presented seamlessly on their Android phones via WiFi, 3G or 4G network. 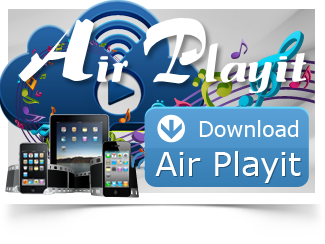 Air Playit became an immediate hit when it just came into Apple App Store in Aug.2011. So far over 1 million users have downloaded this free application which revolutionized the way of watching video on iPhone iPad. Both video conversion and iTunes sync are skipped. DRM encrypted videos as well as 1080P/1080i HD videos such as M2TS, AVCHD, MKV could be streamed to iOS devices for instant playing over air. “Numerous Thank You Emails arrived.” said Jack, CEO of Digiarty. “In the mean time, we also got tons of inquiries on the release date of the Android edition of Air Playit.” The reasons are obvious. 1) Google Android phones are rising quickly. Recent report showed that the 2011 market share of Android in the area of Smartphone is up to 60%. 2) The large and high resolution screen as well as fast processor make it the perfect mobile player for watching video on the go. 3) Android phone, however, supports relatively few video formats, only 3GP, MP4, H.264 and WebM. Finally, long-awaited Air Playit for Android came out taking all well-received functionalities of its iPhone iPad editions. It acts as personal audio video cloud server & player which gives users immediate access to the media stored on PC/Mac even from thousands of miles away. 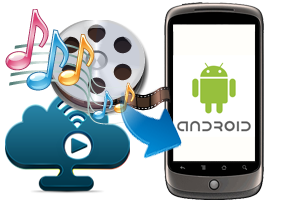 320 different video audio formats are supported for streaming to Android phones, e.g. MKV, M2TS, AVCHD, TP, MPEG-TS, AVC, MOD, MPEG1/2, WMV, ASF, AVI, MOV, RM/RMBV, FLV, MP4, H.264, M4V, WebM, WTV, etc. In addition, this Android video streaming app is upgraded with CUDA technology. The benefit is that users can play music and video on their Android phones remotely or locally without any delay, regardless of media format or file size. The ability of Multi-tasking Music Background Playback is also added which guarantees smooth music playing even in case of screen lock. Established in 2006, Digiarty Software, Inc. is a professional developer and publisher of iPhone games and multimedia software, specializing in various types of iPhone games development and DVD video related solutions. Aiming at being the best digital media company, Digiarty is always devoted to continuous development and providing their customers advanced products and best services. Copyright (C) 2012 Digiarty Software, Inc. All Rights Reserved. Apple, the Apple logo, iPhone, iPod and iPad are registered trademarks of Apple Inc. in the U.S. and/or other countries.